My daughter left for her senior year at Furman University in South Carolina on Saturday. My son left for his sophomore year at Fort Lewis College in Durango Colorado on Sunday. With the house empty of children, I began a bit of cleaning and found a WIP from last Christmas. Oh, dear… my poor cousin never received his hat, because I never finished it. I stopped the straightening, quickly completed the decreases, and wove in the ends. Now it is ready to go into the mail, and my cousin should have it before his labor day Boy Scout camping trip. (Ok, it will most likely be hot labor day weekend, but he will have it – better late than never). 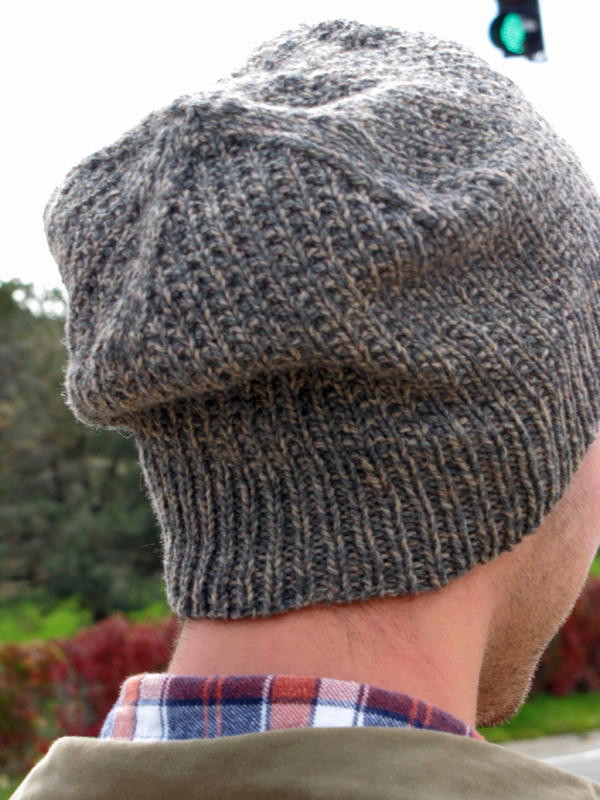 If you are looking for a great gift knit, I suggest the Skyping Beanie by Halldora J. (free on Ravelry). I have knit two of these so far and will most likely knit a few more. 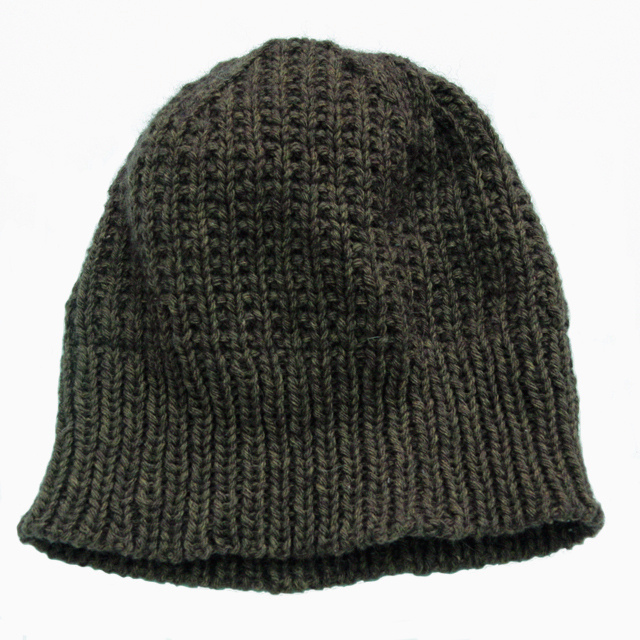 The photo below shows the back of the beanie as per the pattern – a bit slouchy. For the hat above, I knit a few less rows for more of a traditional beanie – my cousin is not a slouchy beanie kind of guy. The easy knit and purl pattern keeps your interest and is pretty quick. Both of the beanies were knit using Lang Yarn Yak which is 50% Yak and 50% merino. Yak is really warm and very light – perfect for Boy Scout backpacking trips. I really like the yarn and the colors are great. Be forewarned, the yarn is a bit splitty so you may need to be careful if you use pointy needles like I do. Because the hat begins with a 1 x 1 ribbing, I used a tubular cast-on which makes an attractive and stretchy edge. If you haven’t tried this cast-on, and in keeping with the start of a new school year, take a chance and learn something new. There are several methods which produce the same or similar results. 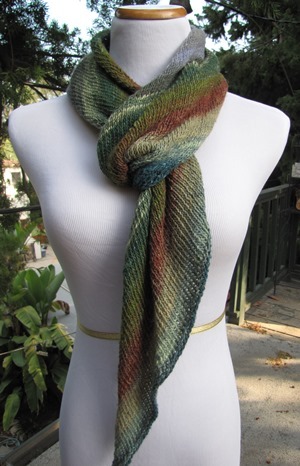 Ysolda’s blog has a great tutorial for the long-tail tubular cast-on (the one I use). Need a bit more help? Well if you are in Southern California in October, I will be teaching 3 of my favorite cast-ons, including the tubular, at Yarnosphere in Long Beach. This class is an hour packed with information so come and join me. Join me in Long Beach, CA – I will be teaching a cast-on class and a blocking class. This entry was posted in Boy Scouts, gift, knitting and tagged finished object, gifts, hat, knitting, technique. Bookmark the permalink. What are your other two favorite cast-ons? I use different cast-ons for different projects. 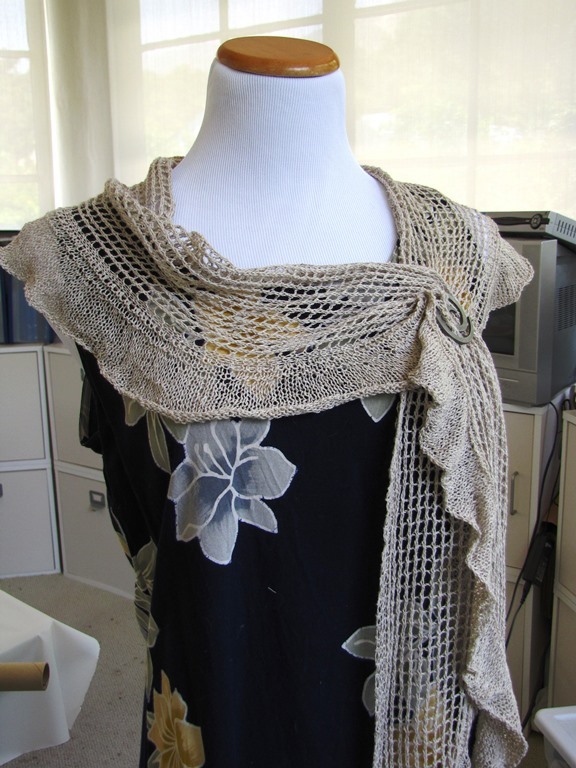 I am teaching: Tubular, knitted-on and purled-on, and a provisional.